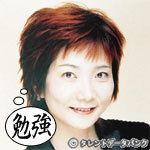 "Minna no uta" (or "Songs For Everyone"), is a program that NHK broadcasts both on TV and radio. It lasts only 5 minutes, and is broadcast several times daily (usually in between other programs). The show was meant as a means to introduce new songs from both well known and up and coming artists, that are appropriate for all ages. However, it also has a second purpose. It also features original animations done to these songs, so animators and directors also get exposure on the televised version of this program. Many notable animation studios have lent their talent to this beloved show, including Studio Ghibli. For many years now, this show has acted as a great starting point for artists, as well as the means to make a great single into a smash hit single.